There were 2.6 million apps in the Google Play Store as of December 2016 compared to 1.8 million in 2015. Such an increase signifies Google’s awareness to become more mobile-friendly. This is why the competition is so stiff, and it’s not just enough to be mobile-present. To convert your mobile users and reach a good number of app downloads or mobile page visits, you have to learn how to engage new prospects, keep your regular customers satisfied, and make them return to the downloaded app for some advanced services. However, even the slightest change can enhance your app or mobile page performance and boost your overall conversion and retention rates. The only thing left is to understand what to change. A/B testing of mobile apps and pages allows us to determine the best version to ignite the highest amount of conversions. It can take you 8 tests before you get statistically significant results, according to AppSumo. But the absence of changes shouldn’t stop you from accepting a succession of failures and coming up with another hypothesis. Because the value of A/B testing lies in its main advantage – generating actual data and particular metrics to improve your conversion rates. 1. Define your goals and crucial target metrics. Begin with Google Analytics to find the weak points in your conversion funnel. You can analyze page views, the number of repeat visitors and visits, time spent on your page, and/or the bounce rate of a particular period. It’s also worth analyzing your visitors’ behaviors on your mobile page using heat maps, form analysis, visitor recordings, and on-page surveys. For your mobile app, you can use such tools as SplitMetrics, Google Analytics, or App Store Analytics. This behavior analysis will allow you to define areas that should be enhanced to convert a visitor. After gathering all the data, you should identify the goals of your experiment and what roadblocks need improvement. Developing A/B testing is very scientific. Before you run an experiment, you need to make a plan and formulate a hypothesis. What will I learn from this test? 3. Determine the expected results. When formulating a hypothesis, concentrate on what you expect to get from this particular experiment. Engage more prospects to download your app? Encourage your regular customers to buy other services? Don’t make a random A/B testing just because it’s a popular trend among marketing experts. After you decide what you can expect from this experiment, you can proceed to the stages of actually conducting a test. This is a public poll platform which allows you to receive unbiased feedback and opinions on any question you have. The tool uses the A/B testing approach to deliver you with the best responses and choices. SEMrush is an SEO platform used for running keywords analysis and researching competitors’ keywords based on Google Search and Google AdWords. This powerful tool obtains 35 million keywords and phrases and brings you very accurate results. Using SEMrush, you can influence sales with SEO, study organic positions of your competitors, and compare SEO metrics from a few sites together. Check out the full SML review of SEMrush here. 4. 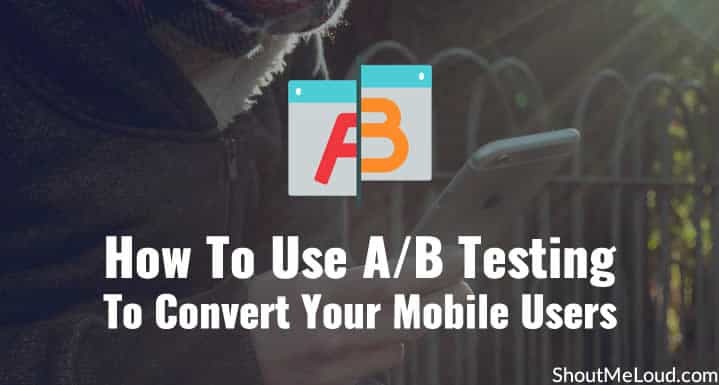 Construct your mobile A/B testing. If your aim is to test your mobile app, consider two sides. First, you can test your in-app content such as onboarding experience, UI and UX, and CTA buttons, and thus increase your conversion rates. Second, you may also test your app store pages, landing pages, and ads to improve your acquisition rates. So, what are the important variables you could test? After you create a variation, calculate the duration of a test in relation to the number of monthly visitors, the current conversion rate, and the predicted change in results. 5. Record the results and suggest possible changes. Though you can actually create more than one variation and take your mobile users through several tests, the results you record can differ in all variations. It may even appear that the original version gives higher conversion rates than others. However, A/B testing can substantially improve your users’ engagement and bring really valuable results if you suggest better changes and improvements. 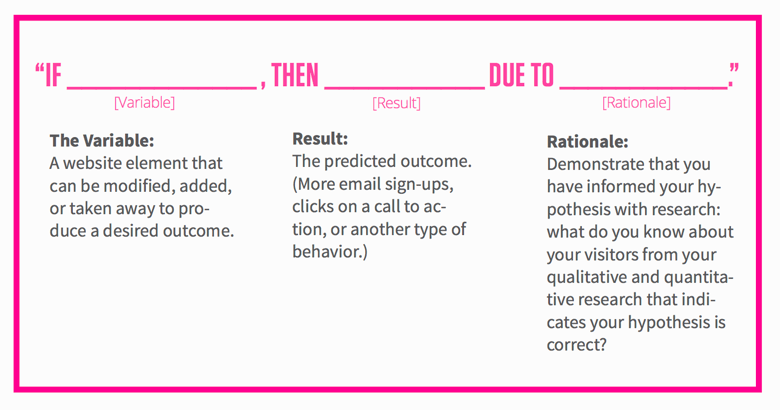 A/B testing can bring powerful results if done right. It’s always important to remember why you want to run A/B testing and run your tests according to your ambitions. With proper testing, you can optimize your sales funnel and convert the most amount of mobile users possible. When that happens, you can run even further tests and optimize everything even further. Following this guide, there is no limit to how much growth you can sustain. What kinds of practices do you do when running A/B tests? Let me hear your thoughts in the comments below!